A new Wi-Fi standard that is being co-defined by Broadcom and Qualcomm Atheros is preparing to take wireless speeds to the next level. 802.11ac will replace the existing 802.11n standard as the next step in mainstream wireless networking by the end of this year or early 2013, as reported by PC World. 502.11ac will operate strictly on the 5GHz band, whereas –n functions on either 2.4GHz or 5GHz frequency bands. 2.4GHz offers better range but there are a multitude of devices already on that frequency that can cause interference including things like microwaves and Bluetooth headsets. To contend with the shorter range of the 5GHz band, developers are making beam-forming technology mandatory in the new standard. This technology allows transmitters and receivers to develop an awareness to each other so beams can be focused directly toward each device. Furthermore, 5GHz have more available channels to work with while each channel is 80MHz wide instead of the 40MHz channels on 802.11n. There will also be a modulation scheme that will multiply the amount of data per carrier signal by a factor of four. On paper, this equates to a maximum bandwidth of 433 mbps per spatial stream versus only 150 mbps on –n. The number of possible simultaneous spatial streams is also being increased from three to eight. Early devices will be limited to only two or three send and receive antennas, meaning bandwidth of 866 mbps or 1.3 gbps in theory. Real-world performance will likely be a third to a half as fast, which will still be much faster than today’s standard. 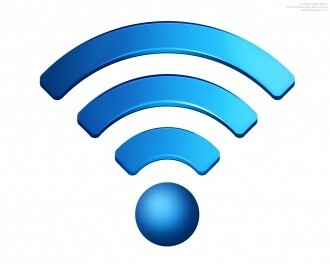 Routers and devices using the new technology should be available in time for the holiday buying season while the 802.11ac certification program will kick off in early 2013.